Wondering what AF could possibly mean? You're not the only one! When someone writes af (either capitalized or in lowercase letters) on social media or in a text message, it simply translates to as f***. You fill in those asterisk symbols with the rest of the letters. F*** is not exactly a polite word! You get the picture, right? In almost all situations where it's being used, the term af is placed directly after an adjective as a way to emphasize or exaggerate its meaning. 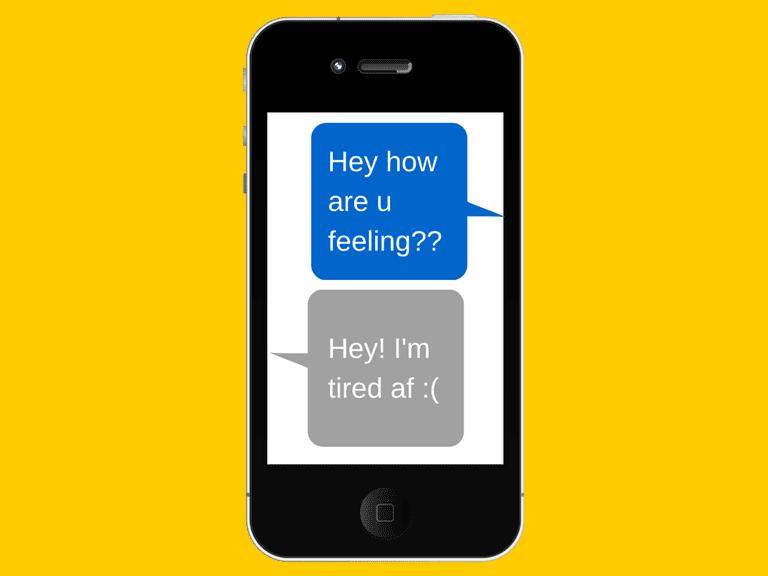 It's become a big trend online and in text messages with teens and young adults — among the many other internet slang words, acronyms and abbreviations they use all the time to get their point across faster and in less character space. "That guy is handsome af." "This pizza is tasty af." "The weather is cold af." That song is mellow af." You can find lots more examples of this acronym in use by searching for it on Twitter and checking out how many people are tweeting it right now. Alternatively, just do a search for it on any other one of your favorite social networks (Facebook, Instagram, etc.) to see all sorts of results come up. A slight variation of af is asf. It means the exact same thing as af, but you may notice it pop up from time to time on social media. The acronym af translates to a swear word, plain and simple. It certainly may be a slightly more respectable option compared to dropping a full-blown f-bomb in a tweet or in a text message, but unlike other internet slang terms like LOL and BRB, this is a term that you should avoid using in some situations. Refrain from using this term in professional situations or when messaging people you don't have as much of a casual and carefree relationship with. If you wouldn't say it out loud in person, then don't say it online or via text message either. A more proper way to communicate the same thing would be to use words like very, really, or extremely before the adjective. So, when should you use it? You might be able to use it on personal social networking accounts in text messages or anywhere else as long as you're using it in the most laid-back or even humorous situations and conversations. It just may be wise to avoid using it as much as possible when writing an email to your boss, a text message to your grandma or a Twitter reply to a loyal client or customer. You get the idea. In some strange way, however, using this acronym online is at least slightly more polite than writing it out as a full F-bomb in a similar way that people have been using 'WTF' (What The F***) for years or are now using CTFU. It's up to you to determine when it is or isn't appropriate to use it according to the conversation and who you're speaking to online or via text message. While slightly older acronyms like LOL seem to be used less and newer, more obscure ones like af seem to be popping up more frequently, the most important thing is to have fun with them and don't take them too seriously. You can bet that as text speak becomes more widespread and the need to express ourselves quickly and more accurately via our devices becomes more of a necessity, people will come with all sorts of other weird, quirky acronyms that will probably catch on.